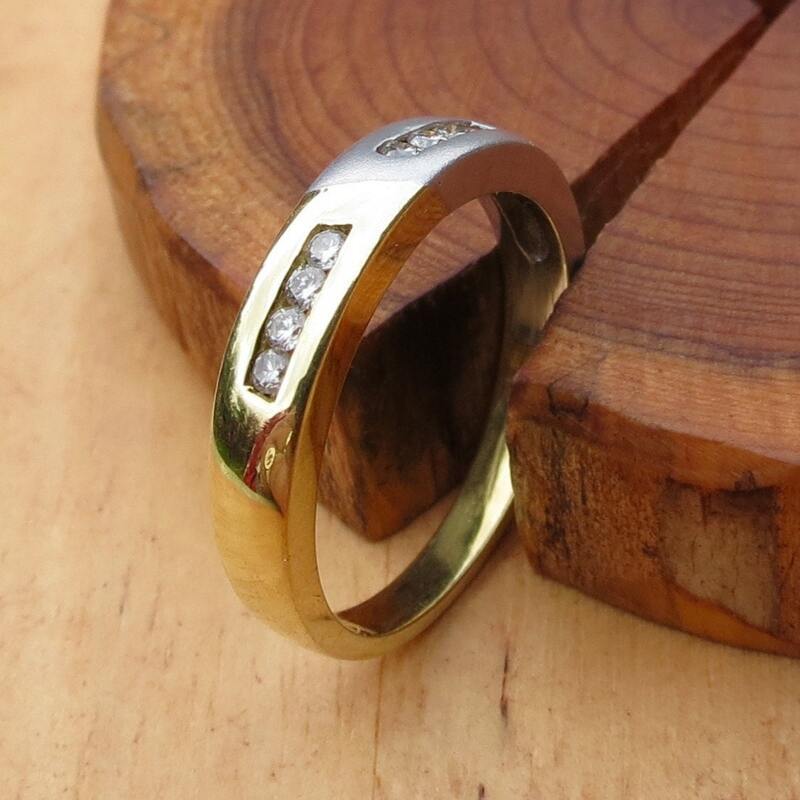 18k yellow and white gold diamond ring. 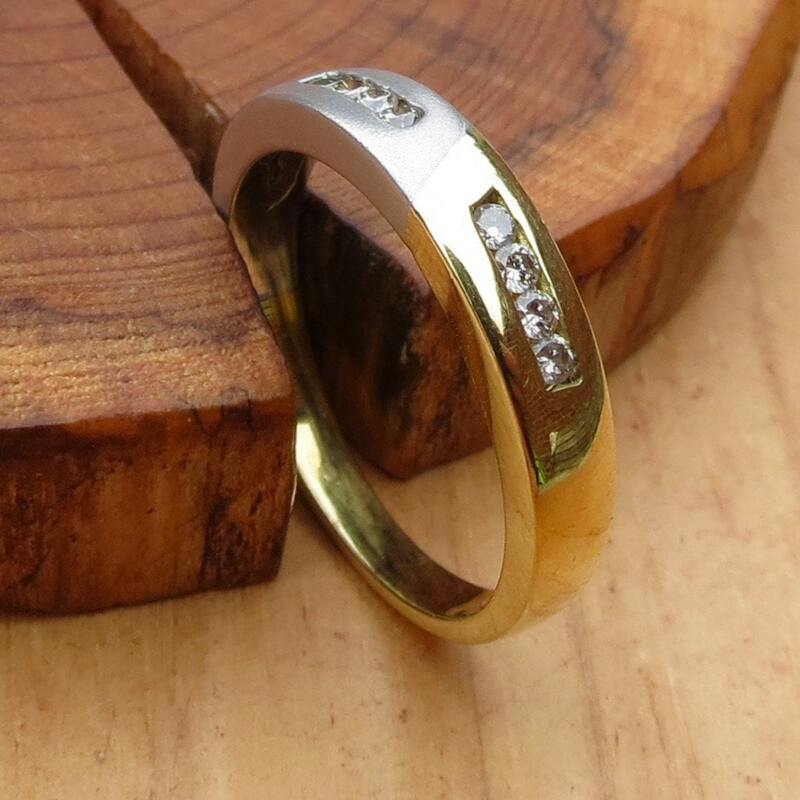 This vintage 18K yellow and white gold ring has 8 brilliant cut diamonds set in two channels. 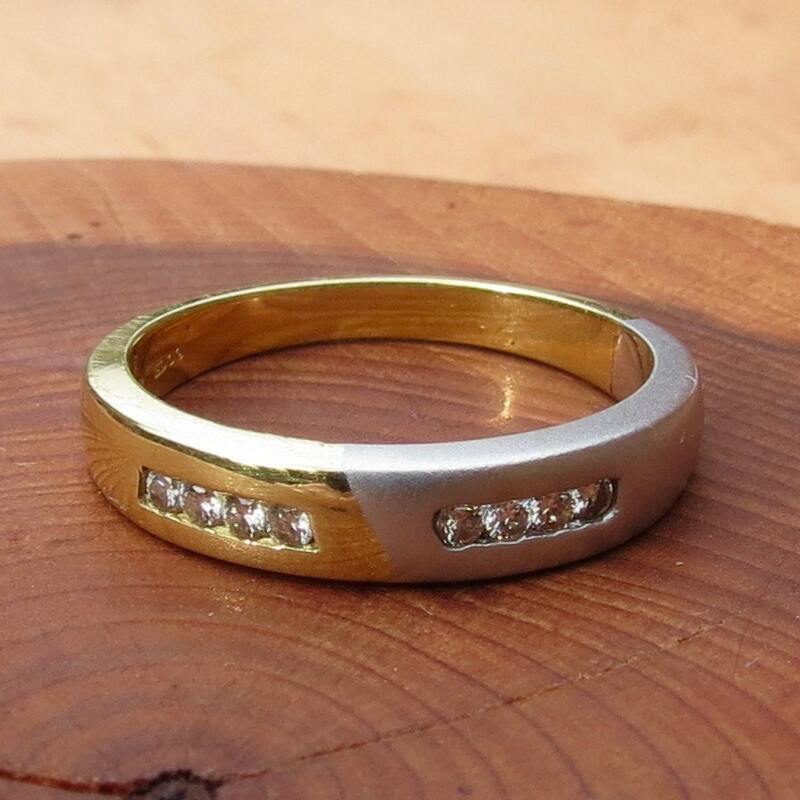 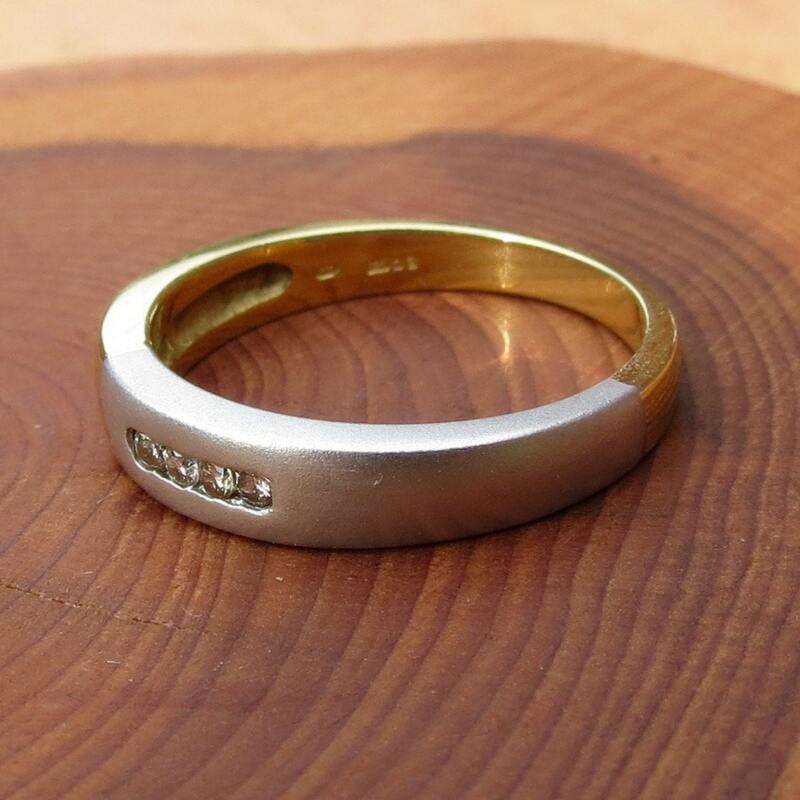 The ring has polished yellow gold and satin finished mount leading to plain band. 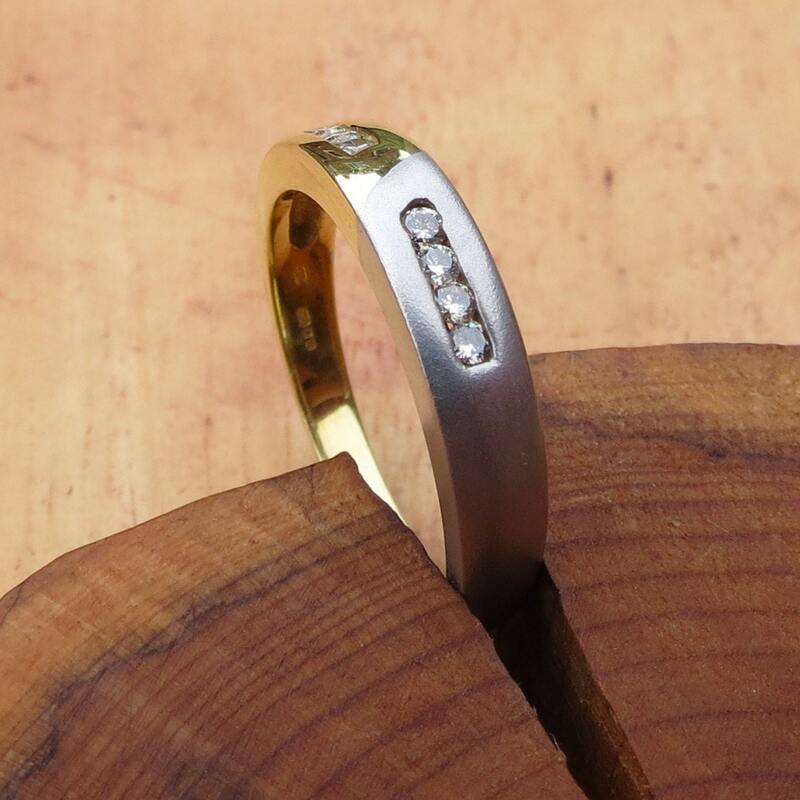 Hallmarked 750 for 18K gold.